On 18–20 October 1879, 22 delegates from Mennonite Brethren churches in Kansas, Nebraska, Minnesota, and Dakota convened in the Henderson Mennonite Brethren Church to organize the first Mennonite Brethren Conference. Their goals were to promote spiritual fellowship among the churches, to define and establish a united position on points of doctrine and practice, and to unite themselves for more effective mission effort and other activities. The General Conference of the Mennonite Brethren Church of North America was incorporated under the state laws of Kansas in 1900; it adopted a constitution eight years later. From 1879 to 1909, the Mennonite Brethren Church held a convention every fall, holding its meetings in one of its larger churches. Beginning with 1883, the minutes and reports were printed in the form of an annual yearbook. As its constituency spread across the continent, the convention was reduced to a triennial event, and the conference divided into district conferences, each of which would hold an annual convention, do its own home mission work, and regulate the affairs of its churches. At the 1936 convention, a thorough revision of the constitution was accepted. Its new provisions covered all phases of conference work. The Committee of Reference and Counsel had the general oversight of the church and took care of its spiritual welfare; the Board of Trustees held in custody and managed the property and funds; the boards for foreign mission, city missions, publication, education, general welfare and public relations, Sunday school, and youth, executed the work entrusted to them. Restructuring has occurred throughout conference history, and boards and committees have come and gone under a variety of names. Nonetheless, the conference has kept several key ministries as their focus. Missions is one such focus. Early efforts focused on India and Comanche Indians in southern Oklahoma, but extended much beyond. The Home Missions Committee and the Board of Foreign Missions took leadership in these matters. The Board of General Welfare and Public Relations coordinated relief work, the resettlement of Mennonite emigrants, and the deployment of Christian service workers. It worked closely with Mennonite Central Committee, and eventually was subsumed under Mennonite Brethren Missions and Services, formerly the Board of Foreign Missions. Publishing was also important. In 1884, the conference published the Zionsbote as its church organ, followed by the Christian Leader in 1951. The Board of Christian Literature took responsibility for much of the publishing, initiating the publication of a variety of historical, Sunday school, and worship materials. Kindred Press became the official Mennonite Brethren publishing agency, with offices in both Hillsboro, KS, and Winnipeg, MB. The need for a Mennonite Brethren school was expressed as early as 1883 and repeatedly mentioned in the following years. In 1898 a Conference Educational Committee was elected and a German Department School was opened in conjunction with McPherson College in McPherson, Kansas. In 1933, the conference assumed ownership of Tabor College, Hillsboro, Kansas. Seminary education began at Tabor (1944), but soon was moved to Fresno, California (1955), where the Mennonite Brethren Biblical Seminary was established. The Board of Christian Education has also played an important role in the ministry of the conference. It has produced Sunday school literature, and has focused on training Sunday school teachers and lay leaders. Organizing youth events and conferences was also a priority. In 1963, the General Conference of the Mennonite Brethren Church of North America changed its name to the General Conference of Mennonite Brethren Churches. As of 1969, telling and preserving the story of the conference has been the task of the Historical Commission, originally a branch of the Board of Christian Literature. The Commission was to coordinate the collection and publication of historical materials, and to initiate projects to raise the historical consciousness of the conference. It has also been responsible for coordinating the activities of the Center for Mennonite Brethren Studies in Winnipeg, Hillsboro, and Fresno. The Fresno center is the official repository of General Conference records. A number of significant developments have taken place with respect to the Mennonite Brethren Church in North America since the middle of the 20th century. One of these was the merger with the Krimmer Mennonite Brethren Conference occurring in 1960. The Krimmer Mennonite Brethren membership at the time was 1,648. The merger brought six African–American congregations from North Carolina into the new Mennonite Brethren conference, as well as a significant number of members who had left Hutterite communities in South Dakota and other areas to join the Krimmer Mennonite Brethren. With the rapid growth in membership of the Canadian Mennonite Brethren churches in the years after World War II, there followed an increasing trend toward a greater degree of independence on the part of the Canadian churches. By 1951, the membership of the Canadian District (called the Northern District until 1945) had already exceeded that of the other three districts combined (Pacific, Southern, and Central). At the general conference sessions in Hillsboro, Kansas in 1954, the issue of independence came to a head and the concept of “area conferences” emerged. Each area (United States and Canada) took on major responsibility in such matters as higher education, church schools, youth work, and home missions. In 2003, the General Conference came to a formal end. At this point, its four remaining ministries—the Board of Faith and Life, Mennonite Brethren Missions and Services, Mennonite Brethren Biblical Seminary, and Resource Ministries—were divested to the United States and Canadian conferences. While the formal ownership structure has changed, the two conferences still work together in several areas of ministry, including missions, history, publishing, and higher education. Nationalism, regionalism, and the theological diversity of constituents all played a roll in the dissolution, but so too did a desire to bring Mennonite Brethren ministries closer to the people in the churches. SOURCES: Adapted from Lohrenz, J.H. and Abe J. Dueck. “General Conference of Mennonite Brethren Churches.” Outside link Global Anabaptist Mennonite Encyclopedia Online. 1990. Global Anabaptist Mennonite Encyclopedia Online. Retrieved 10 August 2006; Like a Fire . . . Burning in my Bones, General Conference of Mennonite Brethren Churches Executive Report (2002); Mennonite Brethren Herald (8 August 1997). This fonds consists of eleven series: Official documents ([1909? ]–1981); Convention records (1879–2002); Board of Reference and Council (1876–1998), with the Hymnal Commission sub-series (1945–1998); Board of Management (1944–1994); Board of Christian Literature (1948–1988); Historical Commission (1973–1976); Mennonite Brethren Missions and Services (1897–2000) with the following sub-series: Minutes, correspondence, and reports (1918–2000), Financial records (1977–1997), Publications (1901–1989), India sub-series (1901–[ca. 1982]), Africa sub-series (1897–1971), Latin America sub-series (1930–1977), Europe sub-series (1960–1997), Asia sub-series (1909–1979), Middle East sub-series (1963), some Russia and Quebec files included; Board of General Welfare and Public Relations (1940–1967); Board of Christian Education (1948–1985); Mennonite Brethren Biblical Seminary (1948–1987); and Board of Mass Media (1972–1988). The first deposits of General Conference records probably were made in the 1970s, sometime after the Centre for MB Studies was organized in 1969. In 1979, Bill Schroeder worked at sorting and organizing some of the materials. It is not entirely clear when the rest of the materials came in, though small deposits have been recorded in recent years. For instance, a General Conference Audio Visual report, consisting of 80 photographic slides, one audio tape and 6pp of textual records, was deposited in 1998, accession #1998-043. Board of Trustees records (1978–1994) were deposited by Canadian Conference treasurer Jake Neufeld in 2000, accession #2000-048. Two files of Board of Christian Literature records were deposited by Helmut Huebert in 1996, accession #1996-050. Historical Commission records from 1984–1999 were deposited in 2003 by Abe Dueck, accession #2003-028. Three videos of the General Conference closing celebration were deposited by Herb Kopp in 2003, Accession #2003-015. Materials continued to be deposited on an irregular basis. Finding aid consists of series and sub-series descriptions and a file list. Not all of the accessions listed above are included in the file list below. Some items remain in the CMBS backlog shelves, including Accession #2002-015, #2002-34. MB Herald Photograph Collection: General Conference convention, NP149-09. CMBS Audio–Visual Collection; a listing of relevant materials is provided at the end of the textual file list provided below. Personal Papers; see records of former missionaries and board members, i.e., the Helen L. Warkentin fonds. Several Board of Christian Literature and Historical Commission publications are available in the J.A. Toews library. Numerous periodicals are available in the CMBS Periodicals and Newspapers collection; see titles under “Mennonite Brethren Missions and Services” for instance. Finding aid updated by Donovan Giesbrecht, 26 May 2006. This series consist of the minutes concerning the merger with Krimmer Mennontie Brethren Church. It also includes official copies of the 1900 charter, a copy of the resolution concerning the purchase of land in British Columbia, and several editions of the General Conference constitution and bylaws. 1.4 m of textual records, 518 photographs. The General Conference convention was the annual then triennial event where the major deliberations and decisions of the General Conference of Mennonite Brethren Churches were made. This series includes convention packets, consisting of agendas, reports, recommendations, and brochures, given to delegates at or prior to the conventions. The minutes and reports from the conventions have been published in conference yearbooks; the yearbooks are located in volume 38:8–10 (1883–1909), and in the CMBS Conference Yearbook Collection (1912–2002, 1883–1909 photocopies). Minutes of the first four sessions of the General Conference (1879–1882) and two indexed collections of General Conference resolutions (1875–2002)—both entitled We Recommend . . . —are found in the latter collection as well. The CMBS Photograph Collection is also a rich source of convention history; see especially NP149-09. Location: Volume 1:2–15, 27–28; 38:2, 8–10. III. Board of Reference and Council (BORAC). This board, also referred to as the Board of Faith and Life (BFL), dealt with matters of church doctrine. This series includes board minutes, reports, correspondence, resolutions, surveys, booklets and study papers (1928–1994). It also includes several published versions of the General Conference of Mennonite Brethren Churches Confession of Faith (1876–1998). A section of the series pertains to the “women in ministry” issue, including a Your Daughters Shall Prophesy reader-response survey, and the River East MB corporate statement (1992–1993). Location: Volume 1:19–26; 2:2–5, 8–22; 3; 4:1–2. This sub-series consists of minutes, correspondence, reports, song lists and indexes, surveys, and song evaluations generated by the Hymnal Commission and the Hymnal Committee. The Commission was accountable to BORAC, initiated by BORAC and the Board of Christian Literature (BCL) in 1987. Prior to this, the Hymnal Committee reported directly to the General Conference convention or to BCL. Location: Volume 2:6–7; 9:10, 18; 38:5–7. 1.2 m of textual records. This series deals with the financial aspects of the conference. The board responsible for these records has been called by a variety of names, including the Board of Trustees, the Board of Directors, and the Board of Management. The series includes board minutes, correspondence, publications, loan applications, brochures, and reports, including audited statements and related financial reports. Finance Committee and Finance Board minutes, correspondence, and reports are included in the Board of Management files. For a time, the Board of Trustees was divided into Canadian and American sections [ca. 1970? ]; it is not always clear to which section the records belong. V. Board of Christian Literature. This series contains minutes, correspondence, reports, study papers, manuscripts, questionnaires, book reviews, promotional materials, booklets, and policy manuals generated by Board of Christian Literature. Files include minutes from subcommittees of the board, including the Publications, Marketing and Editorial Committees. Correspondence from Harold Jantz’s oral history project is also included. Several Board of Christian Literature publications are available in the CMBS Periodicals and Newspapers Collection; see the following titles: Mennonite Brethren Herald (1962– ), Christian Leader (1951– ), Zionsbote (1884–1964), Newsletter (1960–1980), and Sunday School: Worship Together (1966–1972) Sunday School: Rejoice (1972– ). The series contains minutes, correspondence, reports, and brochures generated by the Historical Commission, including reports from the Winnipeg and Fresno archives. It also contains an archival classification scheme, and a copyright certificate regarding the P.M. Friesen translation. Some financial records are included. The commission coordinated the work of the Centre for Mennonite Studies, and initiated several books and projects on the history of the Mennonite Brethren. Initially, the Commission was a branch of the Board of Christian Literature. See also the BCL files, i.e., volume 8:19, and Profiles of Mennonite Brethren Faith in the CMBS Periodical Collection. VII. Mennonite Brethren Missions and Services (MBM/S). 7.76 m of textual records. Minutes, reports, and correspondence sub-series. This sub-series consists of board minutes, reports, and correspondence, along with reports and correspondence from the mission field (1918–2000). More specifically, the series includes orientation and policy statements, study papers, evaluation reports, 5-year projections, historical missionary directories, “Information Service” newsletters, and missionary candidate questionnaires. Agenda, minutes, and reports packets, once given to participants in the MBMS board meetings, are also included. Note, minutes of the Secretariat are not listed independently in the file list; they are included as “BOMAS minutes.” The most significant study papers in this sub-series are indexed in the CMBS Study Papers Collection. This sub-series includes financial reports, budgets, and audited statements (1977–1997). Some of the records are intermixed with the files of the previous sub-series. Location: Volume 22:1–4; 24:1, 3, 6; 25. This sub-series contains material relating to the Mennonite Brethren mission work in India. This includes historical and theological publications in English, German, and Telugu. It is also includes minutes, reports, correspondence, and newspaper clippings from the mission field; these files are described item-by-item in file one of volume 27. Numerous committees generated these materials, including the Publishing, School, Reference, Administrative, and Medical committees. Several fonds in the CMBS personal papers collection relate directly to this sub-series; those of former missionaries and Board of Foreign Missions members are particularly relevant; see Helen L. Warkentin, Abraham A. Unruh, N.N. Hiebert, Johann F. Kroeker, Johann H. Voth, Peter M. Hamm, Johann J. Wiens, H.H. Voth, etc, as well as the CMBS Photograph Collection, NP18 and NP28. Note, most records from 1914–1929 arrived in Winnipeg in 1976; they are copies sent from CMBS in Fresno, California. This sub-series contains records concerning the Mennonite Brethren mission work in Africa. It includes minutes, correspondence, reports, and financial receipts. This sub-series concerns mission work in Paraguay, Brazil, Columbia, Peru, Ecuador, Panama, and Mexico. The Paraguay records include a collection of primary documents entitled “Paraguay, Licht den Indianern,” a file of minutes, reports, publications, study papers, and a manuscript entitled “The Paraguayan Chaco.” The Brazil records include an item-by-item listing of the Brazil materials (Volume 31:3). The Brazil, Columbia, Peru, Ecuador, Panama, and Mexico records are primarily minutes, correspondence, and reports, this includes some HCJB radio reports, and A.E. Janzen’s “Mexico MB Mission: Excerpts, Agenda, and Minutes” booklet. This sub-series contains minutes, reports, correspondence, and magazine clippings on mission work in Europe. It also includes correspondence with Winnipeg pastors regarding the mission in Lithuania, and an evaluative report on mission work in Portugal. This sub-series contains minutes, correspondence, reports, study papers, magazine clippings, and booklets concerning mission work in South and West China, Japan, and Java. This sub-series contains on file of reports, correspondence, magazine clippings, and publications on mission work in Israel and Jordan. VIII. Board of General Welfare and Public Relations. This series consists of minutes, correspondence, and reports from the Board of General Welfare and Public Relations. Also included are news releases intended for Mennonite periodicals, minutes from a convention on alternative service, policy handbooks, brochures, and posters. Many of the records from the 1950s concern relief work in the South American Mennonite colonies; much of the correspondence in these years involves C.A. DeFehr, P.C. Hiebert, C.C. Warketin, and B.B. Janz. Additional information on the board may be found in the personal collections of these men; see the CMBS Personal Papers Collection. The Board of General Welfare and Public Relations also is referred to as the Wohlfahrtskomitee and as the Committee of General Welfare and Public Relations. This committee worked closely with the Mennonite Central Committee on matters of foreign aid. IX. Board of Christian Education (BOCE). This series primarily consists of minutes, correspondence, and reports of the Board of Christian Education. It also includes BOCE agendas, recommendations, study papers, drama scripts, evaluations, resource lists, etc. There are two other parts to this series. First, there are materials on the Service Training Program, a distance education program aimed at training church lay-people. This includes program handbooks, course listings, correspondence, registration records, and reports. The second part consists of BOCE convention materials. This includes correspondence, reports, survey results, and promotional materials pertaining to the National Education Convention, Youth Week, and the Banff youth convention. Note that the series also includes minutes from the Committee of Church Schools. X. Mennonite Brethren Biblical Seminary (MBBS). This series primarily consists of Board of Mennonite Brethren Seminary minutes, correspondence, and reports. It also includes a handbook of Board of Directors’ actions, and a report to the Association of Theological Schools. XI. Board of Mass Media. This series consists of minutes, correspondence, reports, scripts, and brochures relating to the Board of Mass Media. 1. Krimmer Mennonite Brethren Church Executive and Unity Committee meeting minutes (re: merger with the General Conference of Mennonite Brethren Churches). -- 1933–1960. 2. Convention reports and recommendations. -- 1957. 3. Convention reports, recommendations, programs, and statement on civil defense. -- 1960. 4. Convention reports, recommendations, and programs. -- 1963. 5. Convention packet: reports and program. -- 1966. 6. Convention packet: reports, resolutions, program, and Board of Christian Literature brochures. -- 1969. 7. Convention packet: reports, recommendations, resolutions, revised by-laws, position papers entitled “The Church and Life and Death Issues,” “The Holy Land and the Church,” “The Church and the Offender,” one on abortion, and a revised Confession of Faith. -- 1975. 8. Convention packet: reports, recommendations, program, minutes, resolution on political involvement, paper on “Mennonite Brethren and the Urban Challenge,” and [sermon?] outline notes “The Believers’ Church in the Ephesian Letter” by Hans Kasdorf. -- 1978. 9. Convention packet: reports, resolution, program, and pre-convention MB Herald. -- 1981. 10. Convention packet: reports, recommendations, nominations list, brochures, programs, music, and maps. -- 1984. 11. Convention reports, program, announcements, vision statement, Sunday school curriculum evaluations. -- 1987. 12. Convention packet: reports, information booklet, brochures, song booklets, baptism article, notes on constitutional revision, and pre-convention MB Herald. -- 1993. 13. Convention packet: reports, recommendations, maps, and workshop information. -- 1995. 14. Convention packet: reports, recommendations, brochures, paper on ordination, “Is Jesus the Only Way” position paper, and revised confession of faith. -- 1997. 15. Convention reports, recommendations, resolutions, Witness magazine (Jul–Oct, 1999), “Confessing Together: Readings for Congregational Worship,” Confession of Faith (Digest Version), and report booklet. -- 1999. 16. Bylaws, constitutions, and correspondence. -- [1936? ], 1956, 1976. 17. Official charter documents: copies of the 1900 charter and 1909 amended charter (name changed) for the Conference of the MB Church of North America; also includes a Canadian MB Conference resolution concerning the purchase of land in B.C. (1956). -- 1944, 1954, 1956. 18. Constitution booklets. -- [1909? ], [1914? ], 1936, 1954, 1957, 1963, 1977, 1981. 18a. General Conference Constitution. -- 1977. 19. Confession of Faith drafts, “My Church Covenant” draft, a “Summary of Reactions to ‘My Church Covenant,’ ” baptismal questionnaire, and New Wineskins for Old Wine, by Delbert Wiens. -- 1972, 1974, 1975. 20. Confession of Faith. -- 1876–1908. 21. Confession of Faith. -- 1916–1929. 22. Confession of Faith, Resolutions. -- 1946–1957. 23. Confession of Faith 1976 Edition, Resolutions, and “Salvation, Baptism, and Church Membership” booklet. -- 1976–1991. 24. Confession of Faith 1995 Edition, and draft revisions. -- 1995–1998. 25. “My Church Covenant” baptismal booklets. -- [196-? ], 1969. 26. Confession of Faith (German, Spanish, French, and Spanish). -- [1916–1980?]. 27. Convention Planning Committee minutes and program information. -- 1993. 1. Convention planning minutes, correspondence, reports, and programs. -- 1951–1975. 2. Executive Committee minutes. -- 1987, 1989. 2a. General Conference. Executive Committee minutes. -- 1999–2000. 2b. Executive Committee Report to Council of Boards. -- 1996–1998. 3. Organizational Review Task Force report: “Restructuring for Enhanced Ministry.” -- 1997–1998. 3a. General Conference Restructuring. Correspondence and reports. -- 1997–1998. 4. Executive Council minutes, correspondence, and reports. -- 1990–1993. 4a. General Conference Executive Council minutes and reports. -- 1997–2000. 5. Board of Reference and Council minutes and correspondence. -- 1989–1990. 6. Hymnal Commission correspondence, reports, survey, and song lists. -- 1988–1993. 7. Hymnal Commission minutes, correspondence, reports, and song lists. -- 1994–1998. 8. Board of Reference and Council (BORAC) minutes and correspondence. -- 1928–1937. 9. BORAC minutes and correspondence. -- 1945–1949. 10. BORAC minutes and correspondence. -- 1950–1957. 11. BORAC minutes and correspondence. -- 1958–1960. 12. BORAC minutes and correspondence. -- 1961–1963. 13. BORAC and Executive Committee minutes. -- 1964–1966. 14. BORAC and Executive Committee minutes and correspondence. -- 1967–1972. 15. BORAC minutes, correspondence, and MCC study. -- 1973–1974. 16. BORAC minutes, correspondence, and reports. -- 1975. 17. BORAC minutes, correspondence, brochure, and paper on capital punishment. -- 1976. 18. BORAC correspondence. -- 1977. 19. BORAC minutes and correspondence. -- 1978. 19a. BORAC Response to Chicago Statement on the Inerrancy of Scripture. -- 1978–1988. 20. BORAC minutes, correspondence, paper on war taxes. -- 1979. 21. BORAC minutes, correspondence, reports, and resolution on homosexuality. -- 1980. 22. BORAC minutes, correspondence, resolutions. -- 1981. 1. BORAC minutes, correspondence, and “Church Member Profile” (survey and partial results), discussion paper on Mennonite Encyclopedia Vol. V. -- Jan–Jun, 1982. 2. BORAC minutes, correspondence, report on “Inter-Mennonite Relationships,” and a MBBC nuclear war petition. -- Jul–Dec, 1982. 3. BORAC minutes, correspondence, reports, and Hymnal Project report. -- 1983. 4. BORAC minutes, correspondence, reports, and report on the “Consultation on Leadership Polity in the Mennonite Church.” -- 1984. 4a. BORAC Confession of Faith Review. -- 1984–1985. 5. BORAC minutes. -- 1985. 6. BORAC minutes. -- 1986. 7. BORAC minutes, correspondence, and study papers from the “Faith and Ethnicity Symposium.” -- 1987. 8. BORAC minutes, correspondence, reports, study papers on membership, peace, divorce, communion, and baptism. -- 1988. 9. BORAC minutes, correspondence, reports, study papers on ordination and membership. -- 1989. 10. BORAC minutes, correspondence, reports, papers on women, communion, and atonement. -- 1989. 11. BORAC minutes, correspondence, reports, hymnal survey, and report on trip to the USSR. -- 1990. 12. Board of Faith and Life (BFL) minutes, correspondence, and reports. -- Jan–Jun, 1991. 13. BFL minutes, correspondence, reports, and papers on ordination and pluralism. -- Jul–Dec. 1991. 14. BFL minutes, correspondence, reports, and Vision ’92 discussion group notes. -- 1992. 15. BFL correspondence and reports, River East MB Corporate statement on women, Your Daughter’s Shall Prophesy survey. -- Jan–Jun, 1993. 16. BFL minutes, correspondence, and reports. -- Jul–Dec, 1993. 17. BFL correspondence, reports, and Consultation ’94 program. -- 1994. 1. BFL completed “Participant Evaluation Forms” from Vision ’92. -- 1992. 2. BFL completed reader-response forms regarding Your Daughters Shall Prophesy. -- 1992–1993. 3. Board of Trustees minutes, correspondence, and report on South America trip. -- 1944–1951. 4. Board of Trustees minutes, correspondence, and reports. -- 1952–1957. 5. Board of Trustees correspondence, and minutes. -- 1958. 6. Board of Trustees minutes, correspondence, and reports. -- 1959–1963. 7. Board of Trustees minutes, correspondence, and reports. -- 1964–1970. 8. Board of Trustees minutes, and correspondence. -- 1971–1973. 9. Board of Trustees (CDN and USA) minutes, correspondence, and reports. -- 1967–1968. 10. Board of Trustees (CDN and USA) minutes, correspondence, reports, and audited statement. -- 1967–1968. 11. Board of Trustees (CDN) minutes, correspondence, and reports. -- 1969–1970. 12. Board of Trustees (CDN) reports, correspondence, and minutes. -- 1969–1972. 13. Board of Trustees (CDN and USA) reports, correspondence, and minutes. -- 1969–1972. 14. Board of Trustees (USA) reports, minutes, and audited statement. -- 1972–1975. 1. Board of Trustees (CDN) financial reports, minutes, and correspondence. -- 1972–1975. 2. Board of Trustees (CDN and USA) financial reports, minutes, correspondence, policy statements. -- 1972–1975. 3. Board of Trustees (USA) financial reports, minutes, and correspondence. -- 1975–1977. 4. Board of Trustees (CDN) financial reports. -- 1975–1977. 5. Board of Trustees financial reports, minutes, correspondence, and loan applications. -- 1975–1978. 6. Board of Trustees financial reports, minutes, and correspondence. -- 1975–1978. 7. Board of Trustees minutes and financial reports. -- 1974–1975. 8. Board of Trustees minutes and financial reports. -- 1978. 9. Board of Trustees financial reports, and audited statement. -- 1944–1960. 10. Board of Trustees minutes, financial reports, and correspondence. -- 1979. 11. Board of Trustees minutes, financial reports, and correspondence. -- 1980. 12. Board of Trustees minutes, financial reports, and loan applications. -- 1981. 13. Board of Trustees financial report. -- 1982. 14. Audited financial statement. -- 1984. 15. Board of Trustees minutes. -- 1985. 16. Board of Trustees minutes and reports. -- 1988–1990. 17. Board of Trustees minutes and reports. -- 1993. 18. Board of Trustees agenda and reports booklet. -- 1994. 19. Board of Trustees correspondence. -- 1971–1986. 20. Board of Trustees correspondence. -- 1980–1987. 21. Board of Trustees correspondence regarding a C.J. Martens memorial fund. -- 1977–1978. 22. Board of Trustees financial reports. -- 1961–1963. 23. Board of Trustees financial reports and audited statements. -- 1963–1966. 24. Board of Trustees (CDN) audited financial statements. -- 1968–1969. 1. Board of Trustees (CDN) audited financial statements and report booklet. -- 1969–1970. 2. Board of Trustees (CDN) audited financial statements. -- 1970–1971. 3. Board of Trustees (CDN) audited financial statements. -- 1971–1972. 4. Board of Trustees (CDN) audited financial statements. -- 1972–1973. 5. Board of Trustees (CDN) audited financial statements. -- 1973–1974. 6. Board of Trustees (CDN and USA) audited financial statements. -- 1974–1975. 7. Board of Trustees (CDN and USA) audited financial statements. -- 1975–1976. 8. Board of Trustees (CDN and USA) audited financial statements. -- 1976–1977. 9. Board of Trustees (CDN and USA) audited financial statements. -- 1977–1978. 10. Board of Trustees (CDN and USA) audited financial statements. -- 1978–1979. 11. Board of Trustees (CDN and USA) audited financial statements and financial reports. -- 1979–1980. 12. Board of Trustees (CDN) audited financial statements and financial reports. -- 1980–1981. 12a. General Conference Financial Reports. -- 1996–2000. 13. Board of Trustees (CDN) audited financial statements. -- 1981–1982. 14. Board of Trustees (CDN) audited financial statement, and Board of Management convention report booklet. -- 1983–1984. 15. Board of Trustees endowment fund records and related correspondence. -- 1957–1962. 16. Board of Trustees endowment fund records and related correspondence. -- 1963–1965. 17. Centre for MB Studies brochures: “Cloud of Witness Endowment Fund.” -- [198-?]. 18. Board of Trustees publications. -- [195-?]–[198-?]. 19. General Conference. Board of Trustees. Policy Manuals and Vision Statement. -- 1978–1989. 1. Publications Committee/Board of Publications minutes and correspondence. -- 1948–1957. 2. Board of Christian Literature correspondence. -- 1965. 3. Board of Christian Literature minutes and correspondence. -- 1967. 4. Board of Christian Literature minutes, correspondence, and reports. -- 1968. 5. Board of Christian Literature minutes, correspondence, and reports. -- 1969. 6. Board of Christian Literature minutes, correspondence, and reports. -- 1970. 7. Board of Christian Literature minutes, correspondence, reports, and “Mennonite Church Periodicals Study.” -- 1971. 8. Board of Christian Literature minutes, correspondence, reports, and questionnaire responses. -- 1972. 9. Board of Christian Literature minutes, correspondence, and reports. -- 1973. 10. Board of Christian Literature minutes, correspondence, reports, and chapter-drafts. -- 1974. 11. Board of Christian Literature minutes, correspondence, reports, and General Conference periodicals study. -- 1975. 12. Board of Christian Literature minutes, correspondence, and reports. -- 1975. 13. Board of Christian Literature minutes, correspondence, and reports. -- 1976. 14. Board of Christian Literature minutes, correspondence, and reports. -- 1977. 15. Board of Christian Literature minutes, correspondence, and reports. -- 1978. 16. Board of Christian Literature minutes, correspondence, and reports. -- 1979. 17. Board of Christian Literature minutes, correspondence, and reports. -- 1980. 18. Board of Christian Literature minutes, correspondence, and reports. -- 1981. 19. Board of Christian Literature minutes, correspondence, and reports (most related to the Historical Commission). -- 1981–1982. 20. Board of Christian Literature minutes, correspondence, and reports. -- 1982. 21. Board of Christian Literature minutes, correspondence, and reports. -- 1983. 22. Board of Christian Literature minutes, correspondence, and reports. -- 1981–1983. 1. Board of Christian Literature minutes, correspondence, and reports. -- 1984. 2. Board of Christian Literature minutes, correspondence, and reports. -- 1985. 3. Board of Christian Literature minutes, correspondence, and reports. -- 1986. 4. Board of Christian Literature minutes, correspondence, and reports. -- 1987. 5. Board of Christian Literature minutes. -- 1988. 6. Board of Christian Literature general ledger and financial statements. -- 1966–1984. 7. Harold Jantz’s Oral History Project correspondence. -- 1972–1975. 8. Worship Together editorial reports and correspondence, and “Mennonite Church Periodicals Study.” -- 1968–1972. 9. Rejoice editorial reports, committee minutes, correspondence, evaluations, and guidelines. -- 1972–1981. 10. Hymnal Commission correspondence, reports, and minutes. -- 1992–1993. 11. The Earth is Round reviews, chapter notes, and related correspondence. -- 1973–1977. 12. Reports on Board of Christian Literature publications, and “Conversion Means Radical Change” introductory chapter. -- [198-?]. 13. Board of Christian Literature promotional materials. -- [198-?]. 14. “The Christian Family Today” manuscript by F.C. Peters (unpublished). -- 1980. 15. Board of Christian Literature brochures and booklets. -- 1960–1984. 16. Board of Christian Literature/Kindred Press policy manual. -- 1984–1987. 17. Pastor’s Manual drafts, supporting materials—including Central Heights’ manuals, and related correspondence. -- 1982–1984. 18. Hymnal Committee minutes, correspondence, and reports. -- 1982–1987. 19. Historical Commission reports, correspondence, guidelines, and archival classification scheme. -- 1973. 20. Historical Commission reports, correspondence, and minutes. -- 1974–1977. 21. Historical Commission reports, correspondence, and copyright certificate—all regarding the translation of P.M. Friesen. -- 1975–1976. 1. Board of Foreign Missions original Russian charter (Statuen-Entwurf des heidenmissions-Komitees der Menn. Bruedergemeinden Russlands). -- 1904. 2. Committee of Home Mission correspondence (not originals). -- 1918. 3. Board of Foreign Missions and Board of Colonization correspondence. -- 1930–1937. 4. Missions Committee report and historical board member lists. -- [1936? ], 1969. 5. Board of Foreign Missions minutes, correspondence, and reports. -- 1937–1945. 6. Board of Foreign Missions minutes, correspondence, reports, and Guiding Principles and Field Policies booklet (1947). -- 1946–1952. 7. Board of Foreign Missions minutes, correspondence, and reports. -- 1953–1955. 8. Board of Foreign Missions minutes, correspondence, and reports. -- 1956. 9. Board of Foreign Missions minutes, correspondence, and reports. -- 1957. 10. Board of Foreign Missions minutes, correspondence, and reports. -- 1958 (Jan–Jun). 11. Board of Foreign Missions minutes, correspondence, and reports. -- 1958 (Jul–Dec). 12. Board of Foreign Missions minutes, correspondence, and reports. -- 1959 (Jan–Jun). 13. Board of Foreign Missions minutes, correspondence, and reports. -- 1959 (Jul–Dec). 14. Board of Foreign Missions minutes, correspondence, reports, and study paper. -- 1960 (Jan–Aug). 15. Board of Foreign Missions minutes, correspondence, and reports. -- 1960 (Jul–Dec). 1. Board of Missions minutes, correspondence, and reports. -- 1961 (Jan–Mar). 2. Board of Missions minutes, correspondence, and reports. -- 1961 (Apr–Aug). 3. Board of Missions minutes, correspondence, and reports. -- 1961 (Sep–Dec). 4. Board of Missions minutes, correspondence, reports, and missionary candidate questionnaires. -- 1962 (Jan–Apr). 5. Board of Missions minutes, correspondence, reports, and missionary candidate questionnaires. -- 1962 (May–Aug). 6. Board of Missions minutes, correspondence, reports, missionary candidate questionnaires, and Mennonite Brethren Missions Today booklets. -- 1962 (Sep–Dec). 7. Board of Missions minutes, correspondence, reports, and missionary candidate questionnaires. -- 1963 (Jan–Jul). 8. Board of Missions minutes, correspondence, reports, missionary candidate questionnaires, and a study paper. -- 1963 (Aug–Dec). 9. Board of Missions minutes, correspondence, reports, missionary candidate questionnaires, and study papers. -- 1964. 10. Board of Missions minutes, correspondence, and reports. -- 1965. 11. Board of Missions minutes, correspondence, reports, and “Guiding Principles and Policies” paper. -- 1966. 12. Board of Missions and Services (BOMAS) minutes, correspondence, reports, missionary candidate questionnaires. -- 1967 (Jan–Jun). 1. BOMAS minutes, correspondence, and reports. -- 1967 (Jul–Aug). 2. BOMAS minutes, correspondence, and reports. -- 1967 (Sep–Dec). 3. BOMAS minutes, correspondence, reports, study papers, and handbook on social welfare. -- 1968. 4. BOMAS minutes, correspondence, reports, and workbook. -- 1969 (Jan–Jul). 5. BOMAS minutes, correspondence, reports, and workbook. -- 1969 (Aug). 6. BOMAS minutes, correspondence, and reports. -- 1969 (Sep–Nov). 7. BOMAS minutes, correspondence, reports, orientation booklet, guidelines and policies. -- 1969 (Dec). 8. BOMAS minutes, correspondence, and reports. -- 1970 (Jan–Apr). 9. BOMAS minutes, correspondence, and reports. -- 1970 (May–Nov). 10. BOMAS minutes, correspondence, reports, policy, and evaluation of MBM/S by Christian Service Fellowship. -- 1970 (Dec). 1. BOMAS minutes, correspondence, reports, and missionary directory. -- 1971 (Jan–Feb). 2. BOMAS minutes, correspondence, reports, “Information Service” newsletters, and Manual of Operations booklet. -- 1971 (Mar–Jun). 3. BOMAS minutes, correspondence, reports, and “Information Service” newsletters. -- 1971 (Jul–Oct). 4. BOMAS minutes, correspondence, reports, and Key ’73 reports. -- 1971 (Nov–Dec). 5. BOMAS minutes, correspondence, reports, and “Information Service” newsletters. -- 1972 (Jan–Apr). 6. BOMAS minutes, correspondence, reports, and audit report. -- 1972 (May–Jun). 7. BOMAS minutes, correspondence, and reports. -- 1972 (Jul–Oct). 8. BOMAS minutes, correspondence, and reports. -- 1972 (Nov). 9. BOMAS minutes, correspondence, and reports. -- 1972 (Dec). 10. BOMAS minutes, correspondence, and reports. -- 1973 (Jan–Feb). 11. BOMAS minutes, correspondence, and reports. -- 1973 (Mar–Sep). 1. BOMAS minutes, correspondence, reports, and study paper. -- 1973 (Oct). 2. BOMAS minutes, correspondence, and reports. -- 1973 (Nov–Dec). 3. BOMAS minutes, correspondence, and reports. -- 1974. 4. BOMAS minutes, correspondence, reports, and study papers. -- 1975. 5. BOMAS minutes, correspondence, and reports. -- 1976 (Jan–Mar). 6. BOMAS minutes, correspondence, and reports. -- 1976 (Apr–Sept). 7. BOMAS minutes, correspondence, and reports. -- 1976 (Oct–Dec). 8. BOMAS minutes, correspondence, reports, study papers, and historical missionary directory. -- 1977 (Jan–Mar). 9. BOMAS minutes, correspondence, and reports. -- 1977 (Apr–Jul). 10. BOMAS minutes, correspondence, and reports. -- 1977 (Aug–Dec). 1. BOMAS minutes, correspondence, and reports. -- 1978 (Jan–Feb). 2. BOMAS minutes, correspondence, reports, and historical missionary directory. -- 1978 (Mar). 3. BOMAS minutes, correspondence, and reports. -- 1978 (Apr–May). 4. BOMAS minutes, correspondence, and reports. -- 1978 (Jun–Jul). 5. BOMAS minutes, correspondence, and reports. -- 1978 (Aug). 6. BOMAS minutes, correspondence, and reports. -- 1978 (Sep–Oct). 7. BOMAS minutes, correspondence, and reports. -- 1978 (Nov–Dec). 8. BOMAS minutes, correspondence, reports, and brochures. -- 1979 (Jan–Feb). 9. BOMAS minutes, correspondence, reports, and poster. -- 1979 (Mar–Apr). 10. BOMAS minutes, correspondence, reports, and historical missionary directory. -- 1979 (May). 11. BOMAS minutes, correspondence, and reports. -- 1979 (Jun). 12. BOMAS minutes, correspondence, and reports. -- 1979 (Jul–Aug). 13. BOMAS minutes, correspondence, and reports. -- 1979 (Sep–Oct). 14. BOMAS minutes, correspondence, and reports. -- 1979 (Nov–Dec). 1. BOMAS minutes, correspondence, and reports. -- 1978 (Jan–Mar). 2. BOMAS minutes, correspondence, reports, poster, and study paper. -- 1978 (Apr). 3. Mennonite Brethren Missions and Services (MBM/S) minutes, correspondence, and reports. -- 1980 (May–Jun). 4. MBM/S minutes, correspondence, and reports. -- 1980 (Jul–Aug). 5. MBM/S minutes, correspondence, and reports. -- 1980 (Sep–Oct). 6. MBM/S minutes, correspondence, and reports. -- 1980 (Nov–Dec). 7. MBM/S minutes, correspondence, and reports. -- 1981 (Jan–Feb). 8. MBM/S minutes, correspondence, reports, and “Be a Friend to a ‘M.K.’ ” resource packet. -- 1981 (Mar–Apr). 9. MBM/S minutes, correspondence, and reports. -- 1981 (May–Jun). 10. MBM/S minutes, correspondence, and reports. -- 1981 (Jul–Aug). 11. MBM/S minutes, correspondence, and reports. -- 1981 (Sep–Oct). 12. MBM/S minutes, correspondence, and reports. -- 1981 (Nov–Dec). 13. MBM/S minutes, correspondence, and reports. -- 1982 (Jan–Feb). 1. MBM/S minutes, correspondence, and reports. -- 1982 (Mar–Apr). 2. MBM/S minutes, correspondence, and reports. -- 1982 (May–Jun). 3. MBM/S minutes, correspondence, and reports. -- 1982 (Jul–Aug). 4. MBM/S minutes, correspondence, reports, and brochures. -- 1982 (Sep–Oct). 5. MBM/S minutes, correspondence, An Evaluative Study of BOMAS' Policies and Principles, and reports. -- 1982 (Nov–Dec). 6. MBM/S minutes, correspondence, and reports. -- 1983 (Jan–Feb). 7. MBM/S minutes, correspondence, and reports. -- 1983 (Mar–Apr). 8. MBM/S minutes, correspondence, reports, and historical missionary directory. -- 1983 (May–Jun). 9. MBM/S minutes, correspondence, and reports. -- 1983 (Jul–Aug). 10. MBM/S minutes, correspondence, and reports. -- 1983 (Sep–Oct). 11. MBM/S minutes, correspondence, and reports. -- 1983 (Nov–Dec). 12. MBM/S minutes, correspondence, and reports. -- 1984 (Jan–Feb). 1. MBM/S minutes, correspondence, and reports. -- 1984 (Mar–Apr). 2. MBM/S minutes, correspondence, and reports. -- 1984 (May–Jun). 3. MBM/S minutes, correspondence, and reports. -- 1984 (Jul–Aug). 4. MBM/S minutes, correspondence, and reports. -- 1984 (Sep–Oct). 5. MBM/S minutes, correspondence, and reports. -- 1984 (Nov–Dec). 6. MBM/S minutes, correspondence, reports, and “Handbook for Service.” -- 1985 (Jan–Feb). 7. MBM/S minutes, correspondence, and reports. -- 1985 (Mar–Apr). 8. MBM/S minutes, correspondence, reports, historical missionary directory, and brochure. -- 1985 (May–Jun). 9. MBM/S minutes, correspondence, and reports. -- 1985 (Jul–Aug). 10. MBM/S minutes, correspondence, reports, and project list. -- 1985 (Sep–Oct). 11. MBM/S minutes, correspondence, and reports. -- 1985 (Nov–Dec). 12. MBM/S minutes, correspondence, and reports. -- 1986 (Jan–Feb). 13. MBM/S minutes, correspondence, and reports. -- 1986 (Mar–Apr). 14. MBM/S minutes, correspondence, and reports. -- 1986 (May–Jun). 15. MBM/S minutes, correspondence, reports, brochures, and poster. -- 1986 (Jul–Aug). 16. MBM/S minutes, correspondence, reports, brochures, and poster. -- 1986 (Sep–Oct). 1. MBM/S minutes, correspondence, reports, brochures, and nation-specific policy statements. -- 1986 (Nov–Dec). 2. MBM/S minutes, correspondence, and reports. -- 1987 (Jan–Feb). 3. MBM/S minutes, correspondence, and reports. -- 1987 (Mar–Apr). 4. MBM/S minutes, correspondence, and reports. -- 1987 (May–Jun). 5. MBM/S minutes, correspondence, and reports. -- 1987 (Jul–Aug). 6. MBM/S minutes, correspondence, and reports. -- 1987 (Sep–Oct). 7. MBM/S minutes, correspondence, and reports. -- 1987 (Nov–Dec). 8. MBM/S minutes, correspondence, and reports. -- 1988 (Jan–Feb). 9. MBM/S minutes, correspondence, and reports. -- 1988 (Mar–Apr). 10. MBM/S minutes, correspondence, reports, brochures, and transcribed interviews of missionary candidates. -- 1988 (May–Jun). 11. MBM/S minutes, correspondence, reports, and brochure. -- 1988 (Jul–Aug). 12. MBM/S minutes, correspondence, reports, and brochure. -- 1988 (Sep–Oct). 13. MBM/S minutes, correspondence, and reports. -- 1988 (Nov–Dec). 14. MBM/S minutes, correspondence, and reports. -- 1989. 15. MBM/S minutes, correspondence, reports, historical missionary directory, and “Mandate for the 1990s” report. -- 1990. 16. MBM/S minutes, correspondence, reports, historical missionary directory. -- 1991. 1. MBM/S minutes, correspondence, and reports. -- 1991. 2. MBM/S minutes, correspondence, and reports. -- 1992. 3. MBM/S minutes, correspondence, reports, and historical missionary directory. -- 1993. 4. MBM/S minutes, correspondence, and reports. -- 1994. 5. MBM/S minutes, correspondence, and reports. -- 1995. 6. MBM/S country-specific policies and five-year projections. -- 1986–1996. 7. MBM/S country-specific job descriptions. -- 1994–1995. 8. MBM/S “Report and Recommendations” packet, minutes included. -- 1995 (Mar–Apr). 9. MBM/S agenda, minutes, and reports. -- 1995 (Jul). 10. MBM/S “Report and Recommendations” packet, minutes included. -- 1996 (Sep). 11. MBM/S “Report and Recommendations” packet, minutes included. -- 1997 (Apr). 1. MBMSI correspondence with India mission. -- 1994–1996. 2. MBMSI executive and board minutes. -- 1995. 3. MBM/S “Report and Recommendations” packet, minutes included, job descriptions, historical missionary directory, and “Adoption Guide” booklet. -- 1996 (Sep). 4. MBMSI executive and board minutes. -- 1996–1997. 5. MBMSI board agenda, minutes, and reports packet. -- 1997 (Oct). 6. MBMSI board minutes. -- 1997–1998. 7. MBMSI executive minutes. -- 1997–1998. 8. MBMSI board agenda, minutes, and reports packet. -- 1998 (Apr). 9. MBMSI board agenda, minutes, and reports packet. -- 1998 (Sep). 10. MBMSI “Administrative Structural Review” and related correspondence and reports. -- 1998. 11. MBMSI executive agenda and reports packet. -- 1998 (Aug). 12. MBMSI executive agenda and reports packet. -- 1999 (Feb). 13. MBMSI board agenda, minutes, and reports packet. -- 1999 (Apr). 14. MBMSI board agenda, minutes, and reports packet. -- 1999 (Oct). 15. MBMSI job applications and supporting documents (restricted). -- 1999. 16. MBMSI correspondence regarding India. -- 1999. 17. MBMSI bylaws, policy handbooks, and forms. -- [ca. 1999]. 18. MBMSI country-specific evaluative reports. -- 1996–1999. 19. MBMSI board agenda, minutes, and reports packet. -- 2000 (Apr). 20. MBMSI bylaws. -- 2000. 1. Resolutions I: MB Board of Missions/ Services, 1945–1965. -- 1945–1965. 2. Resolutions II: MB Board of Missions/Services, 1966–1978. -- 1966–1978. 3. Resolutions III: Mennonite Brethren Board of Missions/Services, 1979–1989. -- 1979–1989. 4. Resolutions IV: MB Board of Missions/Services, 1990–1992. -- 1992. 5. MBM/S financial statements. -- 1977–1979. 6. MBM/S financial statements. -- 1980. 7. MBM/S financial statements. -- 1981. 8. MBM/S financial statements. -- 1982. 9. MBM/S financial statements. -- 1983. 10. MBM/S financial statements. -- 1984. 11. MBM/S financial statements, budget, and project directory. -- 1992–1993. 12. MBM/S financial statements and budget. -- 1993–1994. 13. MBM/S financial statements and budget. -- 1994–1995. 14. MBM/S financial statements. -- 1995–1996. 15. MBM/S financial statements and budget. -- 1996–1997. 1. MBM/S policy booklets and drafts. -- 1901–1978. 2. Christian Service policy statements and reports. -- 1967, 1971. 3. “Geschichte der MB Mission Bis 1945” (History of the MB Mission since 1945) paper, and home missions statistical report. -- [1950?]. 4. Mission to the Russians (Slavic peoples) Committee minutes and reports. -- 1944–1953. 5. Articles and display photographs concerning French-speaking Mennonites. -- [198-?]. 6. Board of Foreign Missions publications. -- 1914–1938. 1. Board of Foreign Missions publications. -- 1942–1949. 2. Board of Foreign Missions publications. -- 1952–1959. 3. Board of Foreign Missions publications. -- 1961–1967. 4. Clippings from Mennonite periodicals regarding missions. -- 1954–1971. 5. MBM/S posters. -- [196-?]–[198-?]. 6. MBM/S brochures and bulletin inserts. -- [195-?]–1999. 7. MBM/S prayer calendar bulletins and guidebooks. -- 1959–1980. 8. MBM/S prayer calendars. -- 1974–1975, 1998. 9. Board of Foreign Missions application forms. -- [196-?]. 10. MBM/S audiovisual catalog. -- 1978–1981. 11. Missionary prayer cards. -- [196-?]. 12. HCJB (radio) brochures, reports, and correspondence with MBM/S. -- 1971. 13. MBM/S handbooks for short and long-term workers. -- 1978–1987. 14. USSR mission reports. -- 1952–1954. 15. MBM/S newsletters (News). -- 1975. 16. MBM/S newsletters (News). -- 1976. 17. MBM/S newsletters (News). -- 1977. 18. MBM/S newsletters (News). -- 1978. 19. MBM/S newsletters (News). -- 1979. 20. Publications on mission work in India (English and German). -- 1899–1972. 21. A.A. Unruh booklets (unpublished) concerning India. -- 1963. 22. “Offices in the MB Church in India” booklet. -- [1963?]. 23. MBMSI brochures. -- 1980-2008. 24. Annual Report. -- 2008. 25. Prayer Partners (MBMSI missionary prayer letters sent to congregations. -- 1985-1987. -- Note: these appear to have come from Highland MB Church. 26. Prayer Partners (MBMSI missionary prayer letters sent to congregations. -- 1988-1989. -- Note: These appear to have come from Highland MB Church. 1. “Register of Archival Material on MB Mission Work in India,” CMBS Fresno; this includes an item-by-item description of the India files. -- 1977. 2. Mission work in India: Field minutes and reports. -- 1914–1935. 3. Mission work in India: Field minutes and reports. -- 1936–1946. 4. Mission work in India: Field minutes and reports. -- 1941–1953. 5. Mission work in India: Field minutes and reports. -- 1954–1957. 6. Mission work in India: Field minutes and reports. -- 1958–1960. 7. Mission work in India: Field minutes and reports. -- 1961. 8. Mission work in India: Field minutes and reports. -- 1962–1963. 9. Mission work in India: Field minutes and reports. -- 1964–1965. 10. Mission work in India: Field minutes and reports. -- 1965–1969. 11. Mission work in India: Field minutes and reports. -- 1970–1977. 1. Mission work in India: Field minutes and reports (duplicates). -- 1935–1951. 2. Mission work in India: Field minutes and reports (duplicates). -- 1952–1958. 3. Mission work in India: Field minutes and reports (duplicates). -- 1959–1963. 4. Mission work in India: Field minutes and reports (duplicates). -- 1964–1969. 5. Mission work in India: Administrative correspondence. -- 1910–1932. 6. Mission work in India: Administrative correspondence. -- 1933–1917. 7. Mission work in India: Administrative correspondence (duplicates). -- 1917–1945. 8. Mission work in India: Board of Evangelism and Radio Committee minutes and reports. -- 1963–1968. 9. Mission work in India: Board of Education minutes and reports. -- 1940–1966. 10. Mission work in India: Medical Committee minutes and reports. -- 1945–1969. 10a. Mission work in India: Field Statistics for 1966; Biographical Materials. -- 1945–1968. 11. Mission work in India: Board of Literature minutes and reports. -- 1957–1969. 12. Mission work in India: Personal correspondence of J. Heinrichs, Abram Schellenberg, K.L. Schellenberg, and Anne Suderman (Bergthold). -- 1901–1916. 13. Mission work in India: Personal correspondence of K. Lorenz, Franz A. Janzen, J.H. Lorenz, and Anna Hanneman. -- 1908–1919. 14. Mission work in India: Personal correspondence of A.J. Becker, Abram Friesen, M.M. Just, H.W. Lorenz, J.H. Voth, Maria C. Wall, John A. Wiebe, and J.W. Wiens. -- 1917–1942. 1. Board of Foreign Missions publications in Telugu. -- 1921–1965. 2. “India Mennonite Brethren Archives: A Handbook for Use.” -- [ca. 1982]. 3. Newspaper clippings and reports regarding religious liberty in India. -- 1947–1959. 4. Mission work in South China: Correspondence and reports. -- 1909–1948. 5. Mission work in Japan: Reports, study papers, historical booklet, minutes, and correspondence. -- 1955–1967. 6. Mission work in West China: Minutes, reports, correspondence, magazine clippings, and publications. -- 1946–1951, 1979. 7. Mission work in Israel–Jordan: Reports, correspondence, and brochure. -- 1963. 8. Mission work in Africa: Henry C. Enns and A.A. Janzen letters. -- 1897, 1913. 9. Mission work in Africa: Minutes, correspondence, and reports. -- 1935–1943. 10. Mission work in Africa: Minutes, correspondence, and reports. -- 1935–1936 (Jun). 11. Mission work in Africa: Minutes, correspondence, and reports. -- 1936 (Jul–Dec). 12. Mission work in Africa: Minutes, correspondence, and reports. -- 1937 (Jan–Jul). 13. Mission work in Africa: Minutes, correspondence, and reports. -- 1937 (Aug–Dec). 14. Mission work in Africa: Minutes, correspondence, and reports. -- 1938. 1. Mission work in Africa: Minutes, correspondence, and reports. -- 1939. 2. Mission work in Africa: Minutes, correspondence, and reports. -- 1940. 3. Mission work in Africa: Minutes, correspondence, and reports. -- 1941. 4. Mission work in Africa: Minutes, correspondence, and reports. -- 1942. 5. Mission work in Africa: Minutes, correspondence, and reports. -- 1943. 6. Mission work in Africa: Minutes, correspondence, and reports. -- 1944–1946. 7. Mission work in Africa: Financial receipts and related correspondence. -- 1935–1939. 8. Mission work in Africa: Financial receipts and related correspondence. -- 1940–1943. 9. Mission work in Africa: Zaire minutes, correspondence, and reports. -- 1960–1971. 10. Missions in Paraguay: “Paraguay, Licht den Indianern,” primary documents compiled by Gerhard B. Giesbrecht (pp. 1–150). -- 1930–1954. 11. Missions in Paraguay: “Paraguay, Licht den Indianern” continued (pp. 151–300). -- 1955–1967. 12. Missions in Paraguay: “Paraguay, Licht den Indianern” continued (pp. 301–479). -- 1968–1975. 1. Missions in Paraguay: Minutes, reports, publications, and study papers. -- 1947–1977. 2. Missions in Paraguay: “The Paraguayan Chaco,” by William E. Gradford et.al. -- 1955. 3. Mission work in Brazil: “Register of Archival Material on MB Mission Work in Brazil,” an item-by-item listing of the Brazil materials. -- 1976. 4. Mission work in Brazil: Correspondence and minutes. -- 1949–1964. 5. Mission work in Brazil: Minutes, correspondence, reports, and publications. -- 1953–1962. 6. Mission work in Brazil: Minutes, correspondence, and reports. -- 1962–1965. 7. Mission work in Brazil: Minutes, correspondence, and reports. -- 1966–1968. 8. Mission work in Brazil: Minutes, correspondence, and reports. -- 1968–1969. 9. Mission work in Brazil: Minutes, correspondence, and reports. -- 1970–1974. 10. Mission work in Columbia: Minutes, correspondence, and reports. -- 1944–1967. 11. Mission work in Peru: Reports. -- 1961. 12. Mission work in Mexico: Minutes, correspondence, and reports. -- 1950–1972. 13. “Mexico MB Mission: Excerpts, Agenda, Minutes,” by A.E. Janzen. -- 1950–1969. 14. Mission work in Ecuador and Panama: Reports, minutes, and HCJB (radio) reports. -- 1961–1967. 1. Mission work in Europe: Minutes, reports, correspondence, and magazine clippings. -- 1960–1965. 2. Mission work in Lithuania: Correspondence with Winnipeg Mennonite Brethren pastors. -- 1994. 3. Mission work in Portugal: “MBM/S Portugal Evaluation,” by Erwin H. Rempel. -- 1997. 4. Mission work in Java: Publication and correspondence from Wilhelmina Nikkel Baier. -- [197-?]. 5. Committee of General Welfare and Public Relations correspondence. -- 1940. 6. Committee of General Welfare and Public Relations minutes, reports, and correspondence. -- 1949. 7. Committee of General Welfare and Public Relations minutes, reports, and correspondence. -- 1950. 8. Committee of General Welfare and Public Relations minutes and reports. -- 1951. 9. Committee of General Welfare and Public Relations minutes, reports, and correspondence. -- 1952. 10. Mennonite Central Relief Committee/Committee of General Welfare reports, minutes, and correspondence regarding South American relief work. -- 1950–1954. 11. Committee of General Welfare and Public Relations minutes, reports, and correspondence. -- 1953. 12. Committee of General Welfare and Public Relations minutes, reports, and correspondence. -- 1954. 13. Board of General Welfare and Public Relations minutes, reports, and correspondence. -- 1955. 14. Board of General Welfare and Public Relations minutes, reports, and correspondence. -- 1956. 15. Board of General Welfare and Public Relations minutes, reports, and correspondence. -- 1957. 16. Board of General Welfare and Public Relations minutes, reports, and correspondence. -- 1958. 1. Board of General Welfare and Public Relations minutes, reports, and correspondence. -- 1959. 2. Board of General Welfare and Public Relations minutes, reports, correspondence, and brochure. -- 1960. 3. Board of General Welfare and Public Relations minutes, reports, and correspondence. -- 1960. 4. Board of General Welfare and Public Relations minutes, reports, and correspondence. -- 1961 (Jan–Jun). 5. Board of General Welfare and Public Relations minutes, reports, and correspondence. -- 1961 (Jul–Dec). 6. Board of General Welfare and Public Relations minutes, reports, and correspondence. -- 1961. 7. Board of General Welfare and Public Relations minutes, reports, and correspondence. -- 1962. 1. Board of General Welfare and Public Relations correspondence. -- 1962. 2. Board of General Welfare and Public Relations minutes, correspondence, reports, and “Guiding Principles and Policies” paper. -- 1963. 3. Board of General Welfare and Public Relations correspondence. -- 1963. 4. Board of General Welfare and Public Relations minutes, correspondence, and reports, including minutes from a convention on alternative service (The Western Region 1-W Workshop). -- 1964. 5. Board of General Welfare and Public Relations minutes and reports. -- 1964. 6. Board of General Welfare and Public Relations correspondence. -- 1964. 7. Board of General Welfare and Public Relations news releases to the MB Herald, Christian Leader, and Mennonitische Rundschau. -- 1962–1964. 8. Board of General Welfare and Public Relations minutes, correspondence, and reports. -- 1965. 9. Board of General Welfare and Public Relations correspondence. -- 1965. 10. Board of General Welfare and Public Relations minutes, correspondence, and reports. -- 1966. 11. Board of General Welfare and Public Relations minutes and reports. -- 1966. 1. Board of General Welfare and Public Relations correspondence. -- 1966. 2. Board of General Welfare and Public Relations minutes, correspondence, and reports. -- 1967. 3. Board of General Welfare and Public Relations published reports, policy handbooks, and posters. -- 1963–1969. 4. Board of Christian Education (BOCE), Church Schools Committee minutes, correspondence, and reports. -- 1962. 5. BOCE minutes, correspondence, reports, and “Plans for Improvement” booklet. -- 1963–1967. 6. BOCE minutes, correspondence, reports, and “Christian Ed. Agengies’ Standard” evaluation booklet. -- 1968–1970. 7. BOCE minutes, correspondence, reports, and “National Youth Week” booklets. -- 1971–1975. 8. BOCE recommendations to Fort Garry, North Kildonan, and Brooklands Mennonite Brethren Church. -- 1968. 9. BOCE Service Training Program order forms and related correspondence. -- 1967–1972. 10. BOCE Service Training Program handbooks, course applications, report forms, related correspondence. -- 1967–1972. 11. BOCE Service Training Program handbook, course listings, correspondence, certificate records, and course notes. -- 1969–1975. 12. BOCE Service Training Program report forms. -- 1972. 13. BOCE Service Training Program correspondence. -- 1967–1968. 14. BOCE Service Training Program correspondence. -- 1969–1972. 15. BOCE Service Training Program course lists and requirements, correspondence, and example diplomas. -- 1971–1972. 16. BOCE Service Training Program course lists, resource lists, and correspondence. -- 1973–1974. 17. BOCE Service Training Program list of approved teachers, list of registered churches, correspondence, and report forms. -- 1967–1974. 18. BOCE evaluation form and study paper “Rethinking Curriculum with Projections for Christian Education to Meet Current Needs,” by Wilmer Kornelson. -- 1972. 19. BOCE reports, study materials, resource lists, and study papers. -- 1973–1974. 20. BOCE “Calendar of Activities” manuscript. -- 1973–1975. 21. BOCE National Education Convention correspondence with exhibitors. -- 1976. 22. BOCE National Education Convention correspondence with workshop leaders. -- 1976. 23. BOCE National Education Convention correspondence, evaluation report, questionnaire, poster, and brochures. -- 1975–1976. 24. BOCE minutes, reports, and survey results, includes Church Schools Committee, Youth Commission, and Christian Education Commission minutes. -- 1974–1977. 25. BOCE minutes, correspondence, and reports. -- 1978. 26. BOCE minutes, correspondence, reports, and “Camping and the MB Church” conference packet. -- 1979. 27. BOCE minutes, correspondence, reports, survey, and “Helping Adults Learn” study paper. -- 1980. 28. BOCE minutes, correspondence, and reports. -- 1981. 29. BOCE minutes, reports, and Christian Leader article. -- 1982. 30. BOCE minutes. -- 1983. 31. BOCE agenda. -- 1984. 32. BOCE agenda. -- 1985. 1. BOCE publications. -- 1964–1975. 2. BOCE study papers, reports, instructor’s guide. -- 1964–1972. 3. BOCE study papers and sermons. -- [ca. 1973]. 4. BOCE Youth Week programs and related documents. -- 1973–1974. 5. BOCE Confession of Faith Study Guide draft, including related minutes, correspondence, and reports. -- 1974–1977. 6. BOCE Banff reports, correspondence, poster, and contact lists. -- 1974. 7. BOCE teacher’s training brochure, DVBS packets, and study course outline. -- [197-?]. 8. BOCE non-MB resource materials. -- [ca. 1972]. 9. BOCE youth-worker drama contest scripts and correspondence. -- 1976. 10. BOCE agenda and reports. -- 1948. 11. Mennonite Brethren Biblical Seminary (MBBS) board minutes, correspondence, and reports. -- 1948–49, 1972. 12. MBBS board minutes. -- 1973–1975. 13. MBBS board minutes, correspondence, and reports. -- 1976–1978. 14. MBBS Presidential Search Committee reports. -- 1975. 15. MBBS “Handbook of Board of Directors’ Actions: August 1975 to Present.” -- 1979. 16. MBBS Staff Manual. -- 1979. 17. MBBS Report of the MBBS to the Association of Theological Schools and the Western Association of Schools and Colleges. -- 1976. 18. MBBS executive minutes, board minutes, and reports. -- 1979. 19. MBBS executive minutes, board minutes, and reports. -- 1980. 20. MBBS executive minutes, board minutes, and reports. -- 1981–1982. 21. MBBS executive minutes, board minutes, and catalogue. -- 1983–1984. 22. MBBS board minutes, correspondence, and reports. -- 1985–1987. 23. Mass Media Commission and Inter-Mennonite Television minutes, correspondence, reports, scripts, and brochures. -- 1972–1973. 24. Board of Mass Media minutes. -- 1979–1988. 1. Nominations Committee correspondence. -- 1972. 2. Convention Planning Committee minutes and reports. -- 1992–1993. 3. Statistical reports. -- 1956, 1980. 4. Constitution Committee minutes and correspondence. 5. Hymnal Committee minutes, reports, song lists, evaluation questionnaires. -- 1958–1969. 6. Hymnal Committee minutes, correspondence, reports, song indexes, hymn rating charts, and worship readings. -- 1970–1972. 7. Hymnal Committee correspondence. -- 1945–1972. 8. 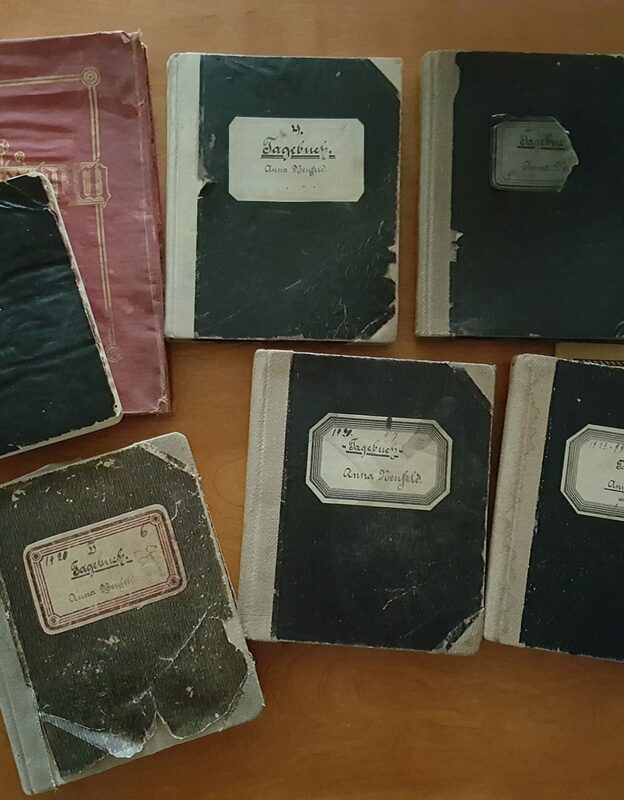 Convention yearbooks (rare) 1883–1889. Conference resolutions and convention minutes 1879-1882. -- 1879-1889. 9. Convention yearbooks (rare). -- 1890–1899. 10. Convention yearbooks (rare). -- 1901–1909. 11. General Conference 100th anniversary plate. -- 1960. 12. Historical Commission minutes, correspondence, reports, and brochures. -- 1975, 1984–1987. 13. Historical Commission minutes, correspondence, and reports. -- 1987–1989. 14. Historical Commission minutes, correspondence, and reports. -- 1990–1991. 15. Historical Commission minutes and reports. -- 1991. 16. Historical Commission minutes and reports. -- 1992. 17. Historical Commission minutes, correspondence, and reports. -- 1993. 18. Historical Commission minutes, correspondence, and reports. -- 1994. 19. Historical Commission minutes, correspondence, and reports. -- 1995. 20. Historical Commission correspondence. -- 1996. 21. Historical Commission minutes, correspondence, and reports. -- 1996. 22. Historical Commission minutes, correspondence, and reports. -- 1997–1998. 23. Historical Commission minutes, correspondence, and reports. -- 1998. 24. Historical Commission minutes, correspondence, and reports. -- 1999. NF-2 General Conference of Mennonite Brethren Churches, 1975 Convention Highlights, Winnipeg, 100 frames, approximately 15 minutes. 1975. VHS. – 2 hours, 14 minutes. Jul 25 2002. VHS. – 2 hours, 14 minutes. Jul 27 2002. MF-5 “Fishers of Men”, n.d., 16 mm, colour film, sound, positive, approx. 10 minutes. Film about mission work by Mennonite Brethren missionaries in Ascunsion, Paraguay. Produced by H.K. Warkentin in co-operation with Mennonite Brethren Board of Foreign Missions. NMF-6 “From Darkness to Light”, n.d., 16 mm, colour film, sound, positive, approx. 18 minutes. Film about mission work by Mennonite Brethren missionaries in Nuevo Ideal, Mexico. Produced by H.K. Warkentin in co-operation with Mennonite Brethren Board of Foreign Missions. NMF-7 “Chaco Mission Frontiers”, n.d., 16 mm, colour film, sound, positive, approx. 20 minutes. Film about mission work by Mennonite Brethren missionaries in Eastmeena, Columbia. Produced by H.K. Warkentin in co-operation with Mennonite Brethren Board of Foreign Missions. NMF-12 “The Morros Must Hear”, n.d., 16 mm, colour film, sound, positive, approx. 18 minutes. Film about mission work by Mennonite Brethren missionaries in Bolivian and Paraguayan Chaco and the death of Kornelius Isaak on 11 September 1958. Produced by H.K. Warkentin in co-operation with Mennonite Brethren Board of Foreign Missions. NMV-15 “The Weight”. Vietnam War/Draft dodgers. A Sisters & Brothers Film, Harrisonburg, VA. Produced by Crown International, Elkhart, IN in consultation with Mennonite Board of Congregational Ministries, Mennonite Board of Missions, Mennonite Mutual Aid, and Mennonite Publishing House. Executive producers: Jim Bowman, J. Ronald Byler, Virginia Hostetler, D. Michael Hostetler, Joel Kaufmann, and Paul Showalter, 1983. A story based on a Herald Press novel by Joel Kaufmann about the decisions facing 18 year olds in 1972. – VHS. – 63. NMV-66-01 Searching for Hope/ MBMS International. Regarding Bryan & Teresa Born who are missionaries in Gaborne, Botswana. – 2001. – VHS. – 7 minutes.